If you’re a fan of Game of Thrones, first of all – well done and second of all, welcome to potentially the most exciting Game of Thrones theory so far. Now, this one doesn’t have some big world-changing consequences that will result in the destruction of the White Walkers or a particular victor sitting pretty on the titular throne. However it does hold predictions for what could turn out to be the most exciting fight scene in GoT history. 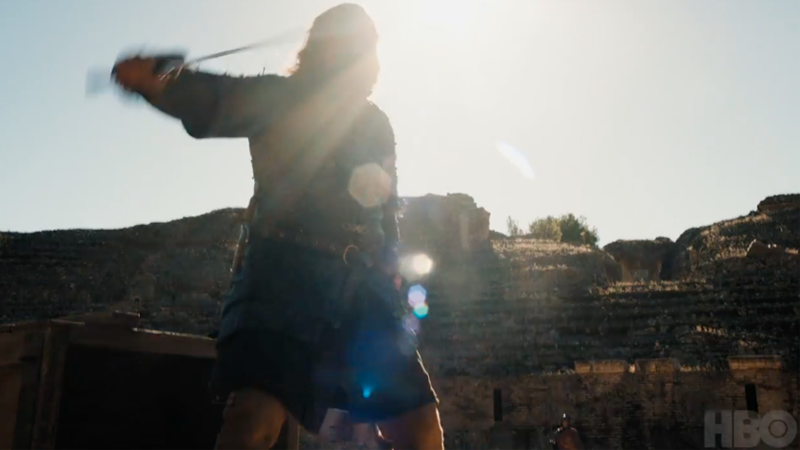 That’s right people, ‘Cleganebowl’ is happening. 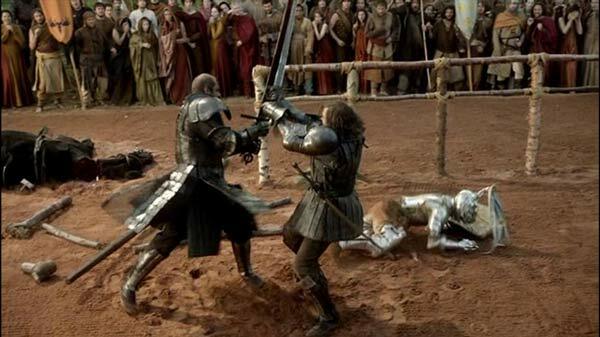 For those who don’t know, ‘Cleganebowl’ is a much hyped meeting of the swords of two of Westeros’ biggest brothers: Sandor ‘The Hound’ Clegane and his undead brother Gregor ‘the Mountain’ Clegane. The pair are currently very far apart from each other and it’s looking like they have no reason to even meet each other over the coming season or the next. Yet, as always, eagle-eyed viewers have noticed something said by The Hound that might in fact prove us wrong. I say eagle-eyed, but eagle-eared would probably be more appropriate. 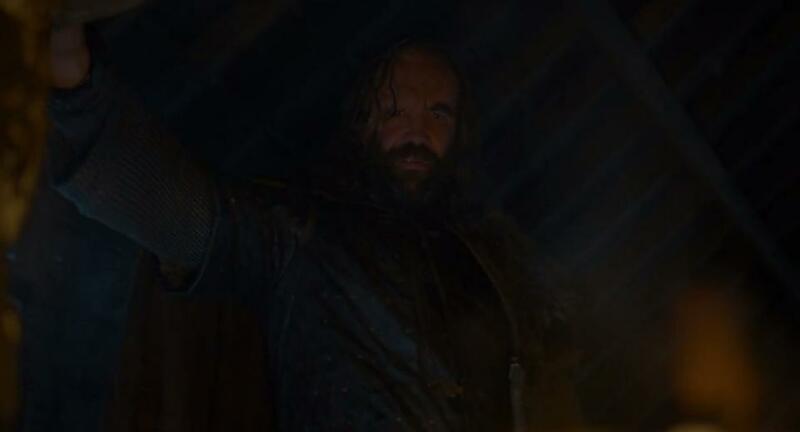 In the latest episode of Game of Thrones, The Hound is made to look into a fire by Thoros, a Follower of The Light. After his typically snarky comment about only seeing ‘logs burning’, The Big Man actually has a vision whilst looking into the flames and, well, I’ll let him tell you. Ice – a wall of ice. The Wall. It’s where the wall meets the sea. There’s a castle there. There’s a mountain, looks like an arrowhead. The dead are marching past. Thousands of them. All sounds like a pretty legit prophecy of White Walkers marching right?…Well not exactly. 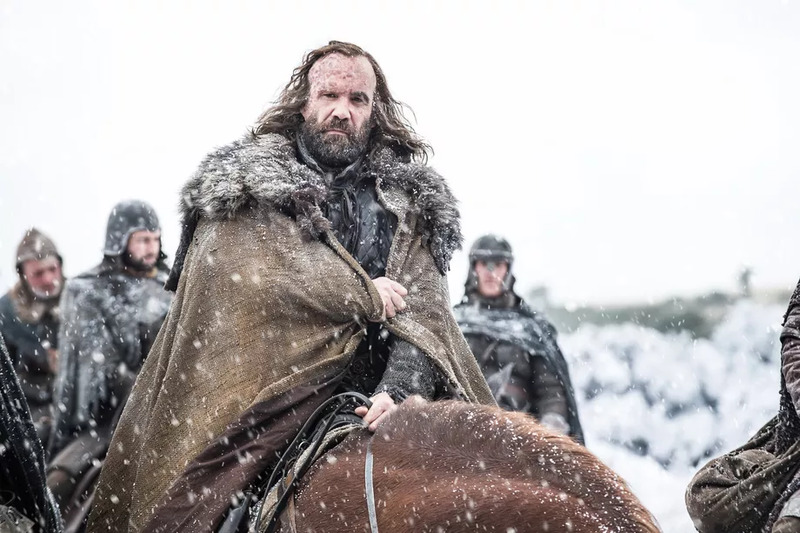 If Jon Snow’s predictions are right and the White Walkers are heading to the East, then there are in fact no mountains in that region at all, so The Hound’s prediction makes no sense whatsoever. So what could it possibly mean? Most fans have taken it as confirmation that the beatdown is pretty much a dead cert. It would definitely round out The Hound’s story arc, which with almost any other ending would almost feel lost and pointless. 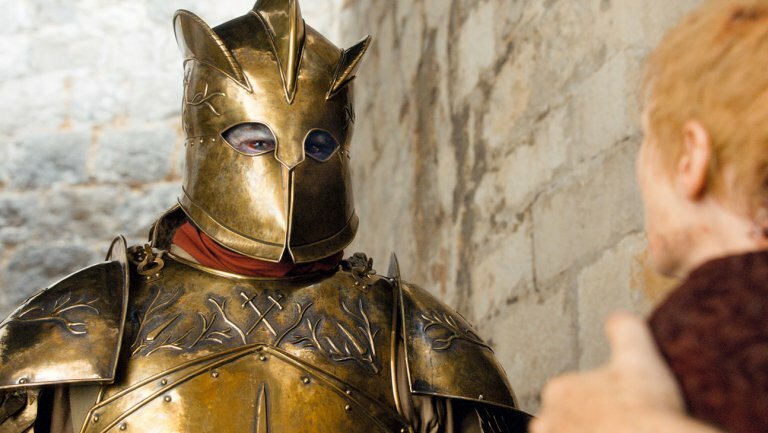 The Hound and The Mountain have hardly been the most loving of siblings,with The Mountain being the very reason for The Hound’s facial disfigurements, so it’s hardly far-fetched to expect a grudge match. Where will they fight I hear you ask? They’re halfway across Westeros from each other, and expected to get further apart. Well, not according to this still from the Season 7 trailer. The still shows a silhouetted man who looks awfully like The Hound and he doesn’t look like he’s anywhere in The North. 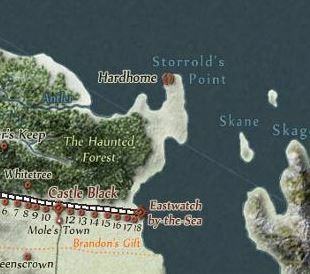 In fact, it looks like it might be in King’s Landing, exactly where The Mountain is.